Hi guys! I know I haven’t popped over to this little corner of the Internet for a while, but that’s because some serious writing has been happening! Hallelujah Amen! Part of that is due to the awesome writing group that I managed to score. They call themselves the YA Cannibals, but they let a humble middle-grade writer like myself join in the fun. There are a few published authors in the group, and a few who are still on the road to publishing, but I’ve really loved getting my work torn to shreds by them. One of the main pieces of advice I tell young writers is to find a group of people who will read their work and be HONEST not just NICE. Nice people are great- don’t get me wrong. Hang out with lots of them, be friends with them, but don’t hand them your book because they will inevitably be nice and tell you it’s wonderful even if it’s not. SO! After my first session with the cannibals, I scraped together the pieces of my manuscript that they’d torn to shreds, and got to wrok piecing it back together into something even better. It’s a new project that I’m pretty excited about, and I can’t wait for you to read it someday! BUT, a post has been swimming around in my mind for a while now, and I thought I’d get it written down so it could stop taking up brain space that needs to be devoted to other things! So, here is my Author’s Bucket list of all the things I want to accomplish during this one wonderful crazy life that I’ve been blessed with. Although, I should really call it a Life List, since the characters in one of the books I’m currently working on think that Bucket Lists are down right depressing. But, I won’t tell them if you don’t! So here it goes. Get a starred review on Kirkus. For those of you not in the publishing world, there are a few key places that review new books. These are the little blurbs you usually see posted on Amazon. The main ones are School Library Journal, Bulletin of the Center for Children’s Books, ALA Booklist, and Kirkus. If these reviewing sources were people, the first three would be bouncy bright eyed cheerleaders waving their pom poms wildly, or over-caffeinated soccer moms on the sidelines wearing their MY KID is #1 t-shirt. 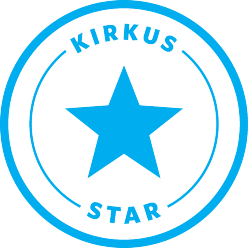 And Kirkus? Well, he’d be the cool guy wearing aviators sulking on the sidelines and sneering at how dumb the players shoes happen to be. You get the picture. So when they review your book, you grit your teeth and hope for the best. BUT, every now and then they give a book a starred review. And dang it, I want one of those stars. I want it bad. So watch out Kirkus…I’m coming for you. 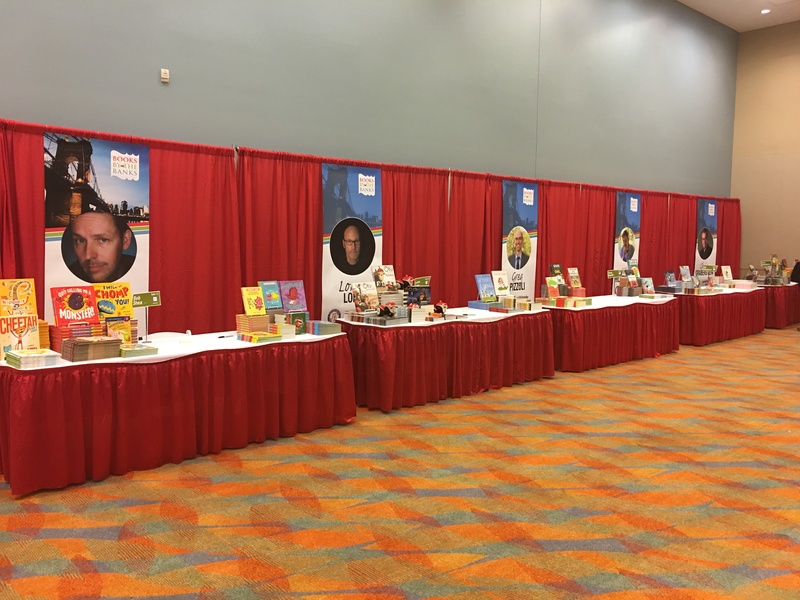 I’ve attended a few of the BIG “Lets get a ton of authors in one place and sell lots of books” events, and I’ve really enjoyed them. 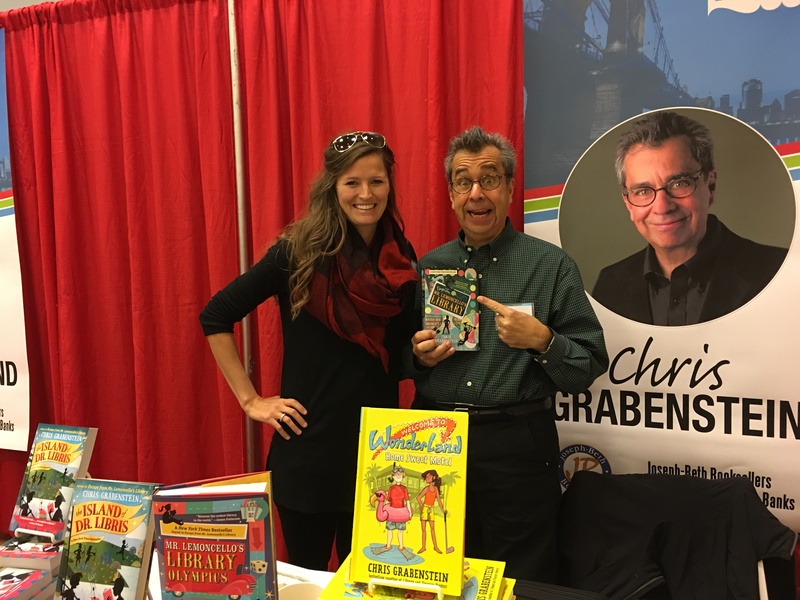 But I have to tell you, someday, I want my table set up in front of a gigantic banner with my face on it ala Chris Grabenstein at the Books by the Banks event I attended. Not so much for the face part, because honestly that would be a little creepy to have staring at you all day, but because I want my table COVERED in books I’ve written. (Not that I don’t love just having Edge of Extinction-The Ark Plan on my table, but I feel it’s getting lonely.) 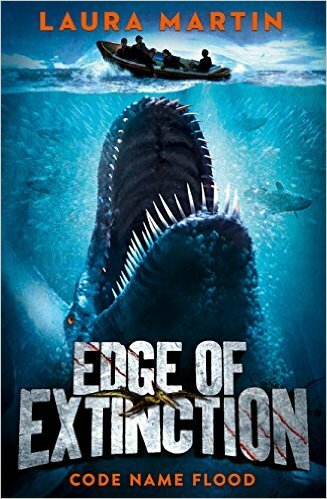 Lucky the second book in the series Edge of Extinction-Code Name Flood is coming out on May 30! Meet my Editor and Literary Agent in Person. 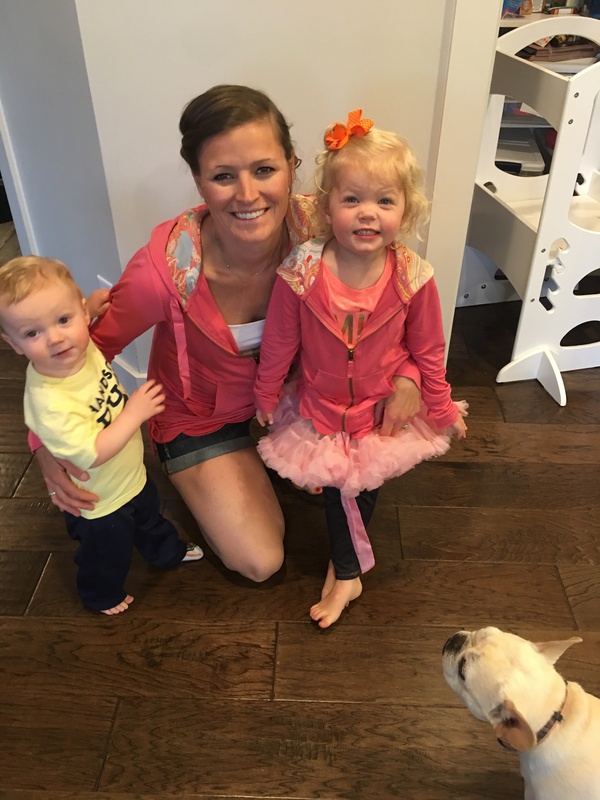 I have been incredibly blessed to work with two amazing women in my career thus far. The first is my literary agent Jodi Reamer. Guys, I still pinch myself when I tell people that she’s my agent. She was my dream agent, and I never in a million years thought I’d get to work with her. We’ve talked on the phone and emailed a ton, but I’ve never gotten to meet her in person, and I’d love to buy this girl a coffee or 500 coffees as a thank you for all she’s done for me. The second person I’d love to meet would be my amazing editor at HarperCollins, and I’m not just saying that because she lives in Hawaii. (I know…lucky girl.) But like Jodi, we’ve emailed and talked quite a bit, but I’d love to sit down over a coffee with her someday. Without her my books wouldn’t even be a 10th of what they are today. If you’re scratching your head over what YHBA is, then you are clearly not from Indiana. 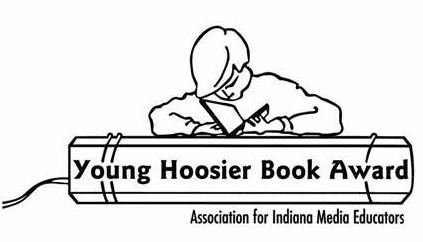 YHBA stands for the Young Hoosier Book Award, and it is a big hairy deal. As a teacher I tried to read all the YHBA selections every year, and my students would vote on which they thought should be the winner. Every time I’d take my troop of seventh graders into the media center for library time, I’d stare at that huge YHBA display and promise myself that one of my books would be on there someday. 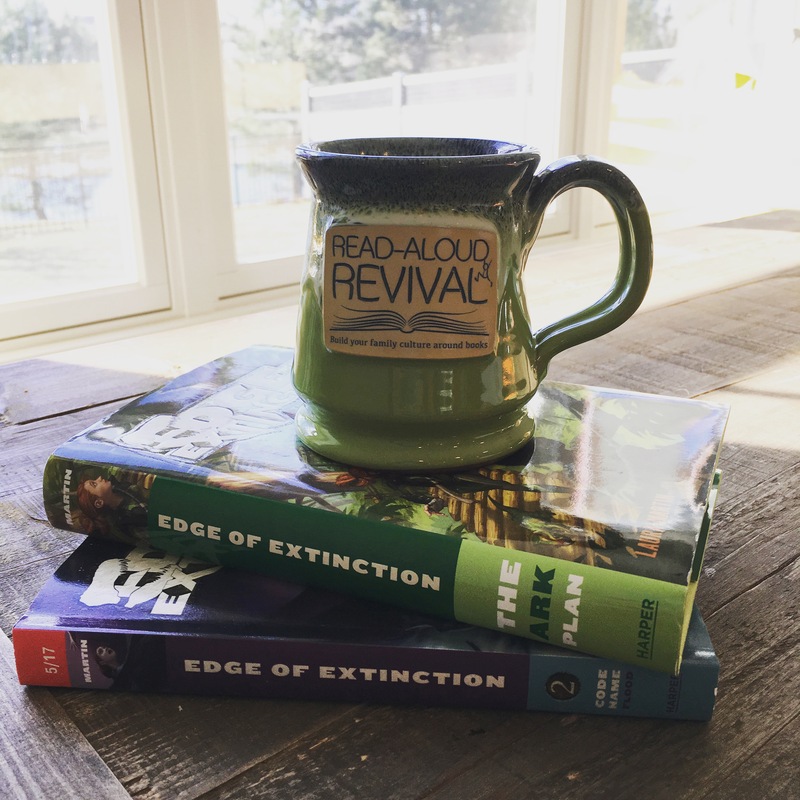 Okay guys, I’ve talked about the Read Aloud Revival before here, but I am SO excited to announce that I can CROSS THIS ONE OFF THE LIST! Sarah Mackenzie, the mastermind behind the Revival contacted me a while back, and I about fainted from excitement. I’d sent her a copy of my book last May when it first came out with a letter professing my love for her podcast, but never thought I’d hear from her. You see she interviews REAL authors. Like, tons of books to their name, accomplished 1-4 on my list years ago authors. Not début authors with one measly book to their name! But guys, my podcast with her airs on May 9! You can find all her amazing podcasts here. Travel to the U.K. for a book event. 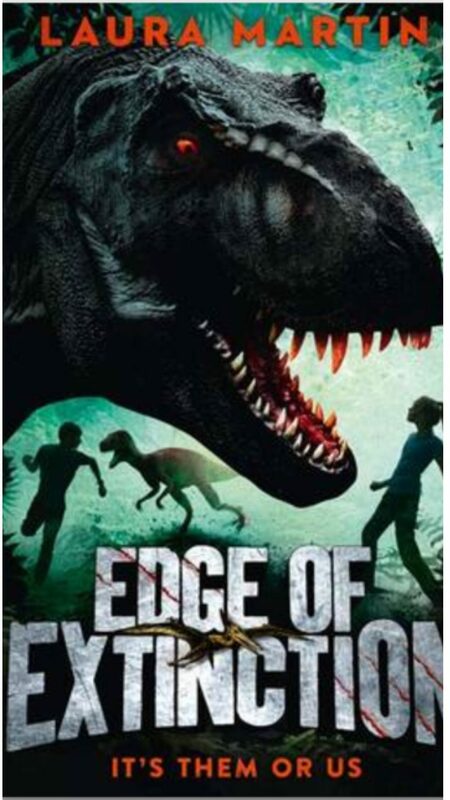 As I’ve mentioned before the Edge of Extinction series is also published in the UK, with very different covers. I’ve been contacted a few different times by schools or award coordinators from across the pond because my book is under consideration for something or other, but I’ve never been able to visit or attend any of the events. I’m in a season of life where dropping everything and flying that far away just isn’t feasible on either the kid front or the affordability front. BUT someday…I’m going to go for a fun book event and then be a tourist to my hearts content. I’ve met a lot of people by this point who have read my book, which is always equal parts thrilling and terrifying. But I’ve never happened to spot someone reading my book when I was out and about, in a waiting room, or at the library etc. My cousin called me the first week EDGE came out and described how she’d spotted a boy reading it at the dentist office, and I was more jealous than if she’d gotten to share an Uber with Brad Pitt. I have no idea what I will DO when I actually do spot someone. Probably freak out and frighten them, but I can’t wait. I think it will be fun someday to sit down with them and read the words that I’ve written. I’ll be able to tell them how they were only one or two when this one came out and show them their name in the acknowledgements section. And who knows, they may hate everything I’ve ever written. And I’ll probably be okay with that, because every reader has to find the books that speak to them. But I will protect my warm fuzzy image of them curled up with a copy of one of my books, and begging me to tell them what happens next. And, of course, I wont. ← Let Your Adventure Style Pick Your Next Read!